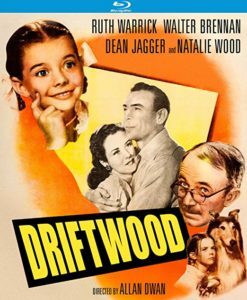 Rightly furthering the quickly rising star of Natalie Wood, director Allen Dwan’s Driftwood is satisfying and sweet in the best possible of ways. Wholesome, yes, but never dishonest. Charming but not cloying, with high stakes, but not oppressive about such things. Like a really good episode of Little House on the Prairie. 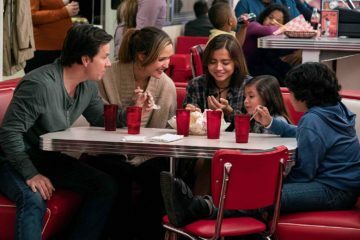 In a simpler time, when towns had names like “Panbucket” and “Bullfrog Springs”, a little girl and her dog could still make all the difference. 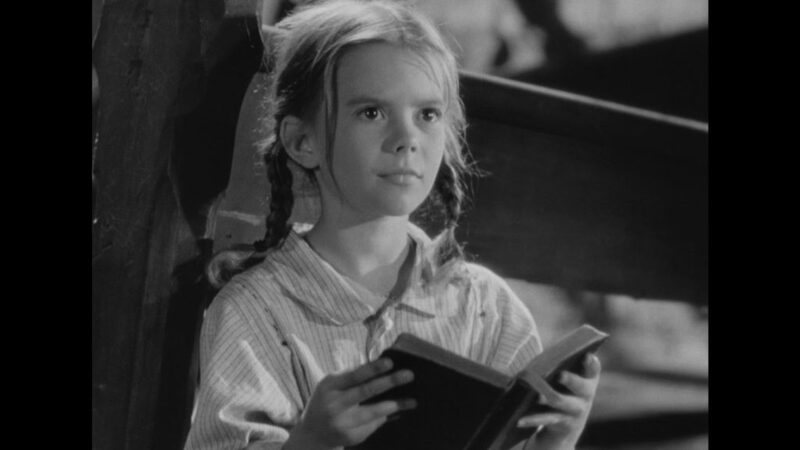 Young Natalie Wood plays the lead, Jenny, an intrepid nine year-old orphan who drifts into a nearby small town in search of sanctuary. She arrives with only a dog she just met, wearing a ragged men’s shirt fashioned into a dress, and an encyclopedic knowledge of the Bible. Of course, little Jenny can’t help but charm the locals and melt hardened hearts. But then, she also precipitates a near-outbreak of a tick-related disease epidemic, just on the cusp of another. Spotted fever looms in the background, just waiting to rise up and decimate the populace of this woefully non-inoculated town. The underfunded local doctor, Steven Webster, played by Dean Jagger, knows it, but will anyone listen? Will anyone build him a hospital that’s closer than the nearest one, fifty miles away? No. Political corruption has seen fit to win any such necessary funding. 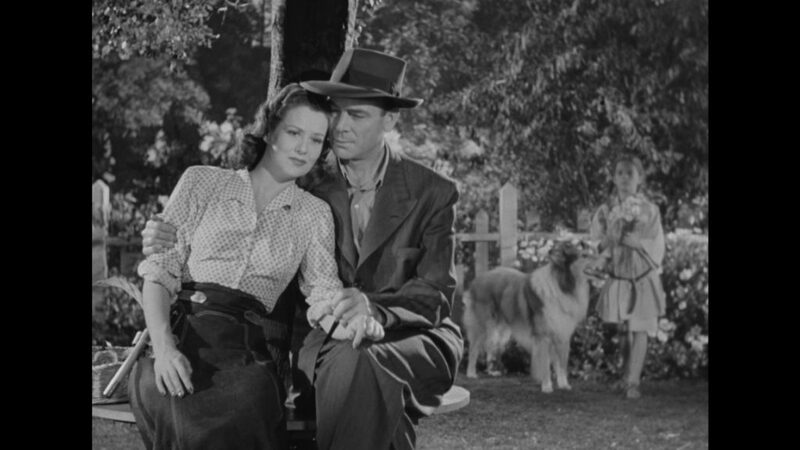 Ruth Warrick and Dean Jagger in DRIFTWOOD. Alongside Wood and Jagger is a fine array of venerable supporting players, including Walter Brennan, Charlotte Greenwood, and Ruth Warrick, who is (for some odd reason) top billed. 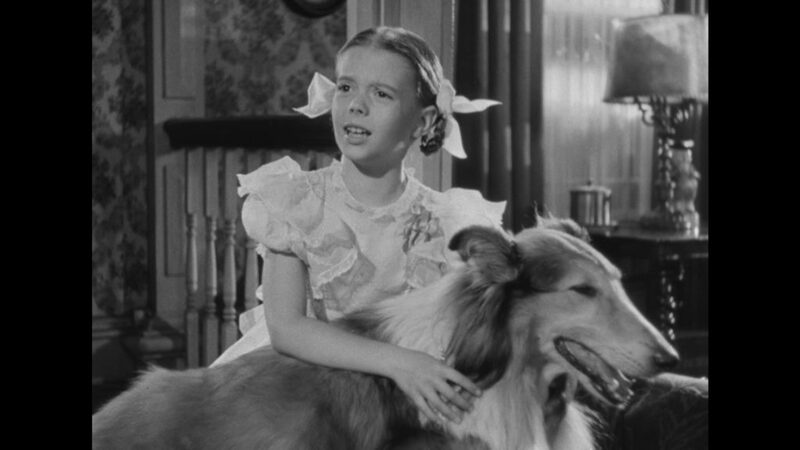 But it’s Jenny’s collie, Hollingsworth, whom she adopts on her solo journey through the desert early in the story, who is the foremost co-star of the show. Additionally, H.B. Warner and Margaret Hamilton stand out in brief but memorable roles. If only by coincidence (surely not lost of them at the time), these two see their most famous roles subverted here. The latter, having once played Jesus in Cecil B. DeMille’s silent Biblical opus The King of Kings (1927), dies while preaching; and Hamilton, once the Wicked Witch of the West, spends most of her brief moments in Driftwood advocating on behalf of saving the little girl’s dog from destruction at the hands of authorities. Wholesome, yes, but never dishonest. Charming but not cloying, with high stakes, but not oppressive about such things. Like a really good episode of Little House on the Prairie. 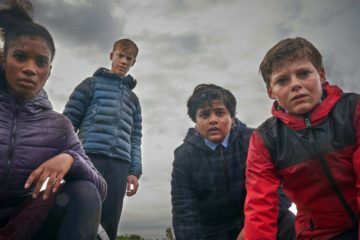 In an unjustly unsung film, cinematographer John Alton is an unsung hero behind the camera. One of the defining talents in American classic Film Noir, Alton’s trademark expressionist lighting may not feature prominently throughout most of Driftwood, (it is, however, strongly utilized in the film’s evocatively atmospheric opening moments) though his unobtrusive, more conventional approach to this picture is the right approach. 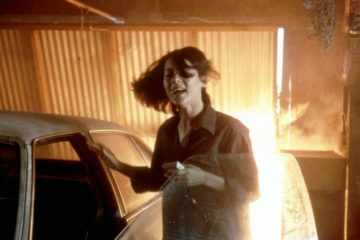 Natalie Wood as Jenny in DRIFTWOOD. On his terrific audio commentary track, the only significant bonus feature on this handsome new Blu-Ray release from Kino Lorber Studio Classics, film historian Jeremy Arnold astutely points out the narrow line that veteran director Dwan walked in managing the tone and feel of Driftwood, avoiding the easy fall into the terminally saccharin or cornpone. 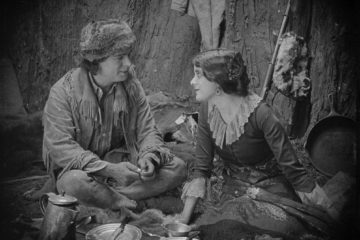 In a career that spans back to the silent era, Dwan freely gravitated from one differing type of story to another, racking up decades of solidly diverse works. More than just a skilled craftsman, he was a true innovator at cinema’s ground floor. Driftwood, a late career gem, is a humble example of the ultra-competency and skill Dwan had accumulated. This Blu-Ray is yet another a well-deserved presentation of an under-appreciated find, courtesy of this label. Although “old fashioned” (is that a bad thing? ), Driftwood is a wonderful film for both movie lovers and family audiences alike.